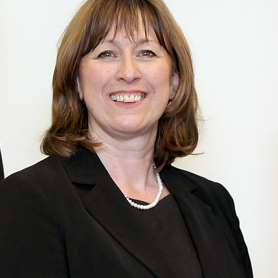 Sue Mawdsley is a partner in Legal Risk LLP. She is also admitted as a solicitor in the Republic of Ireland. She is a solicitor of over 30 years’ experience and advises law firms – from multi-national to high street practices – on risk management, claims prevention and regulatory compliance. She has particular expertise in anti-money laundering and advising firms on anti-money laundering problems and compliance strategies, as well as extensive experience of developing bespoke procedures and systems for law firms. Sue has a diploma in Anti Money Laundering from the International Compliance Association, accredited by the Business School of the University of Manchester. She also has a Practitioner Certificate in Data Protection. Sue is the co-author of the Money Laundering chapter of the International Bar Association book on Risk Management In Law Firms and together with Frank Maher and Francis Dingwall is co-author of The Compliance Calendar Toolkit for Law Firms. Sue is a ranked lawyer in Chambers UK 2019 for Professional Discipline. Sue is also a recommended lawyer in Legal 500 2018 for Professional Discipline and Professional Negligence.